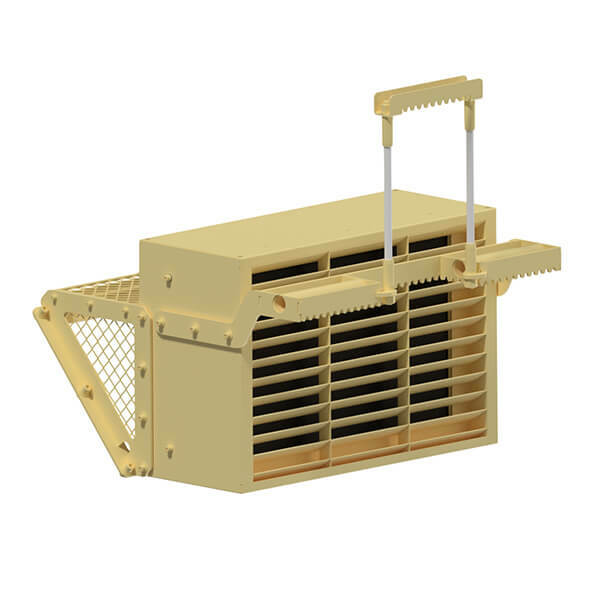 The DML3 is a 11.5kW dual evaporator split air conditioning system. 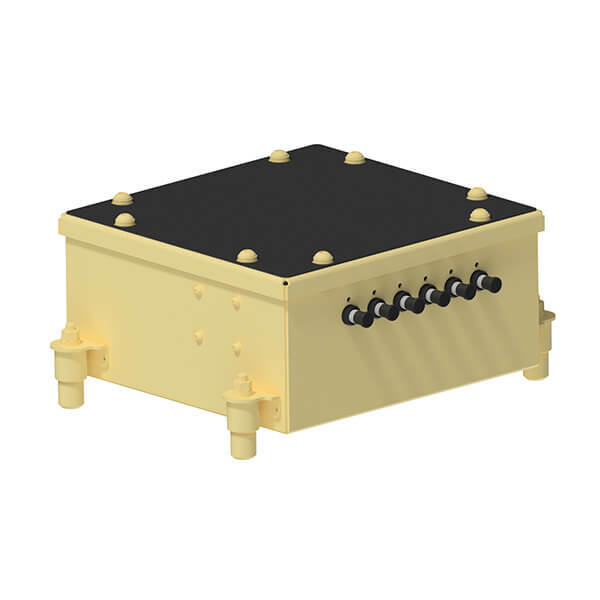 The evaporators are integrated in LHS/RHS boxed enclosures which are mounted next to the driver and co-driver seats inside the vehicle. 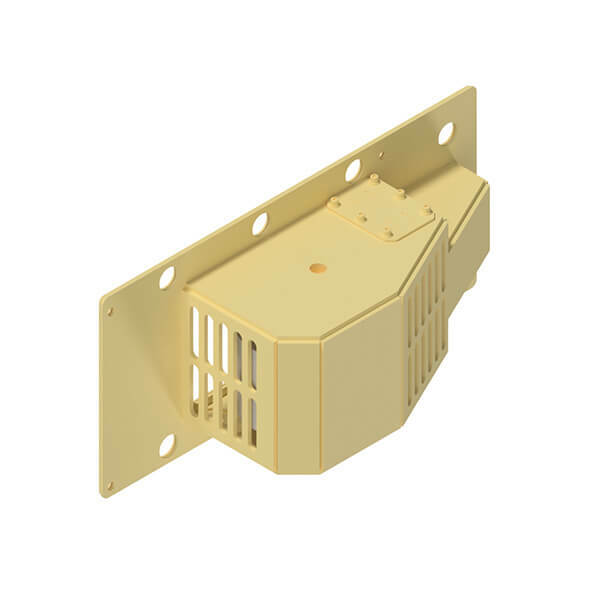 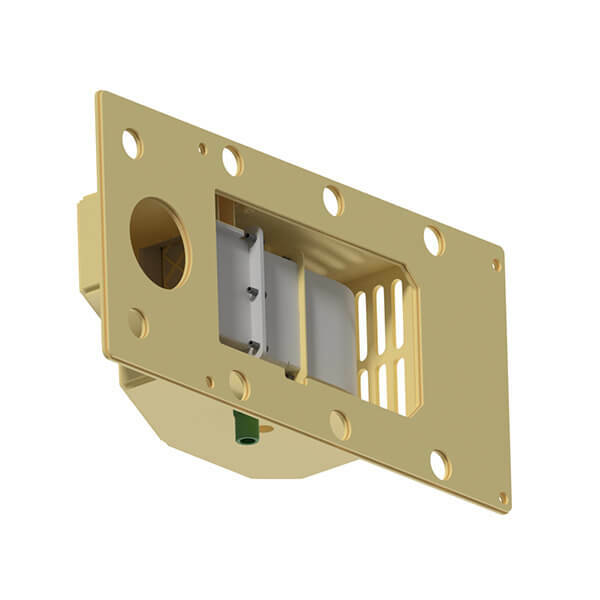 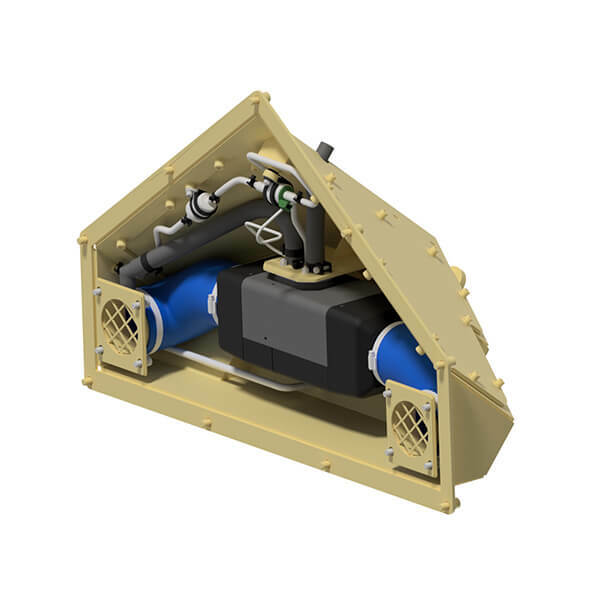 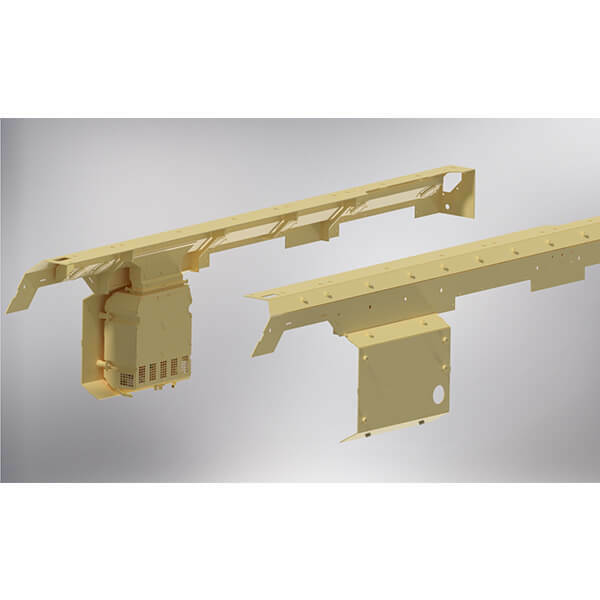 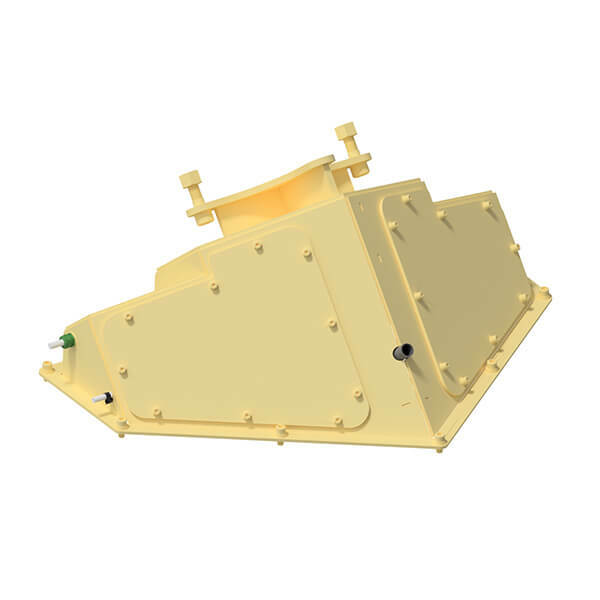 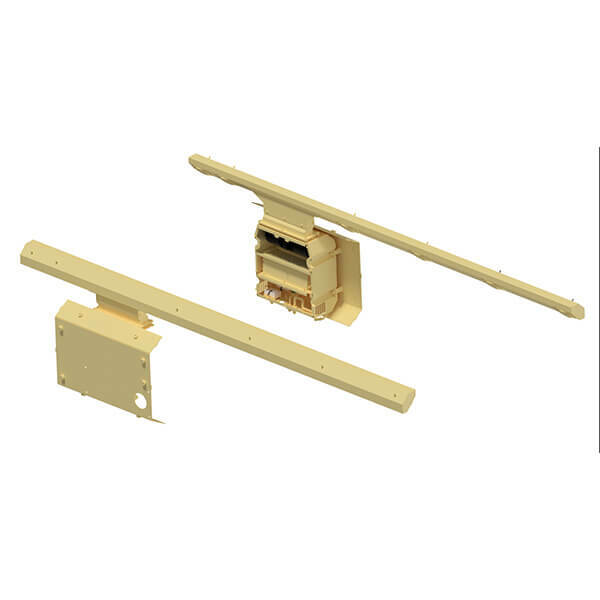 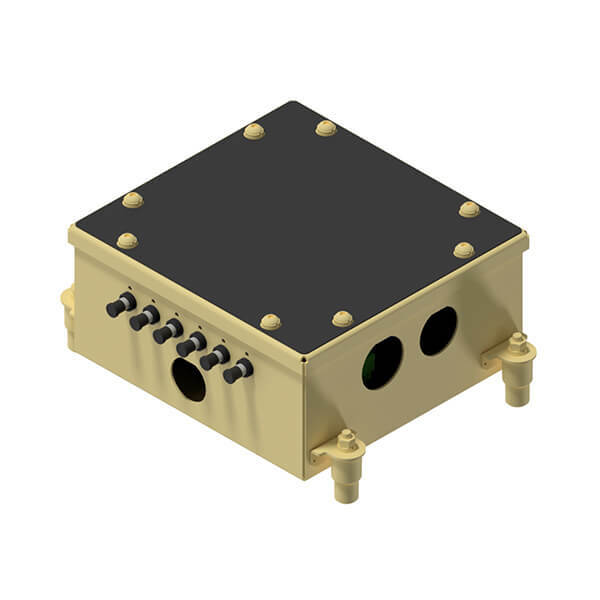 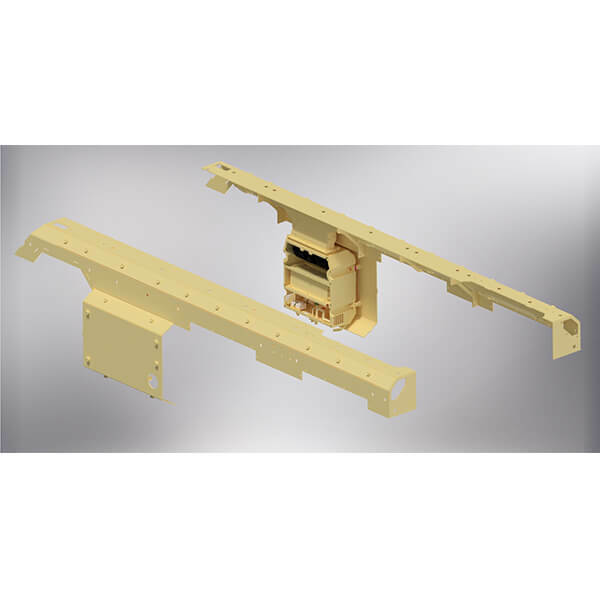 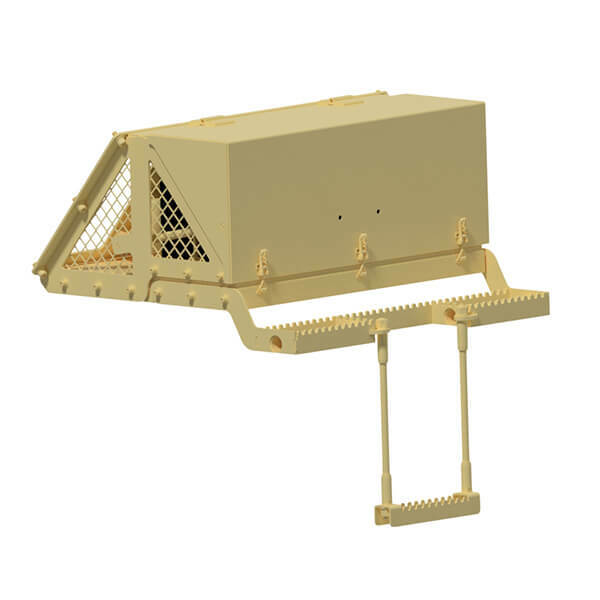 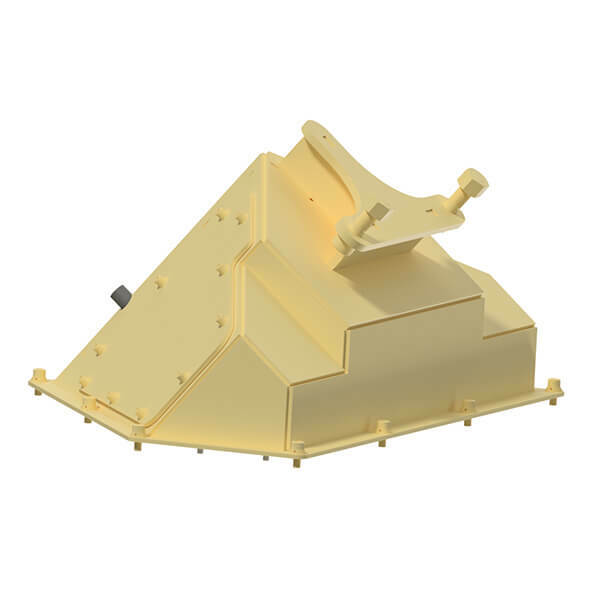 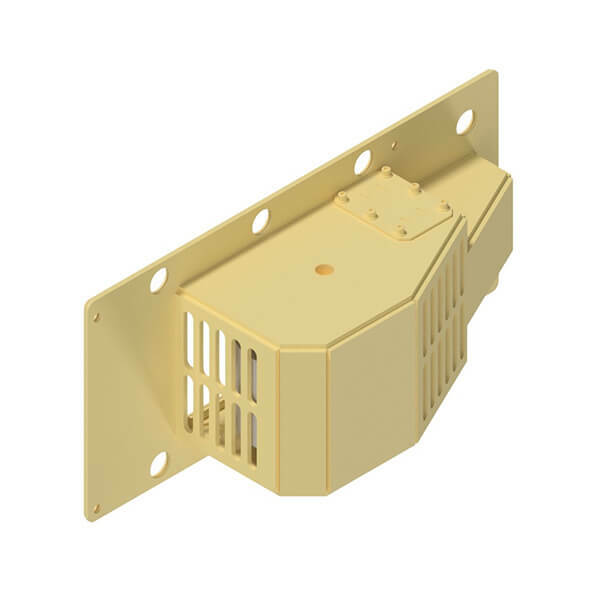 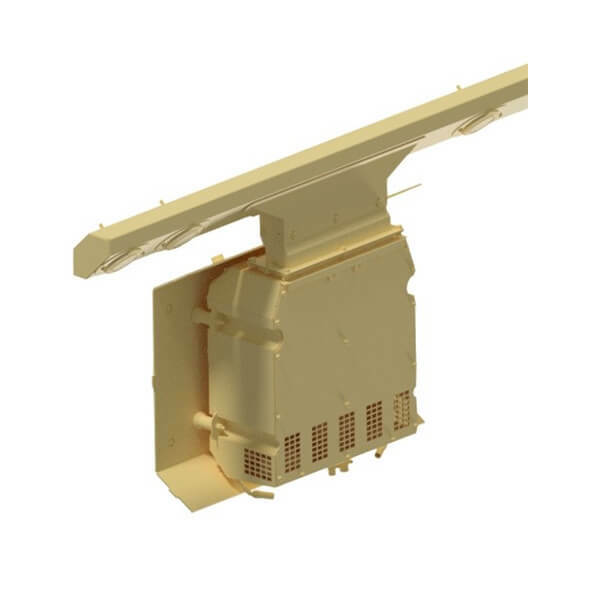 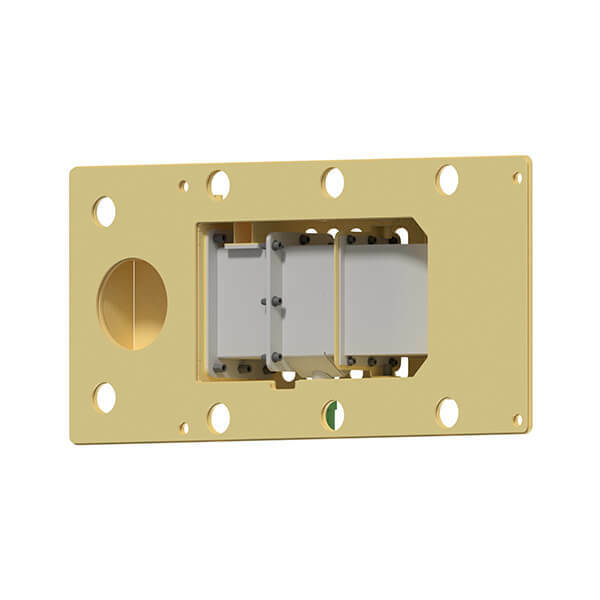 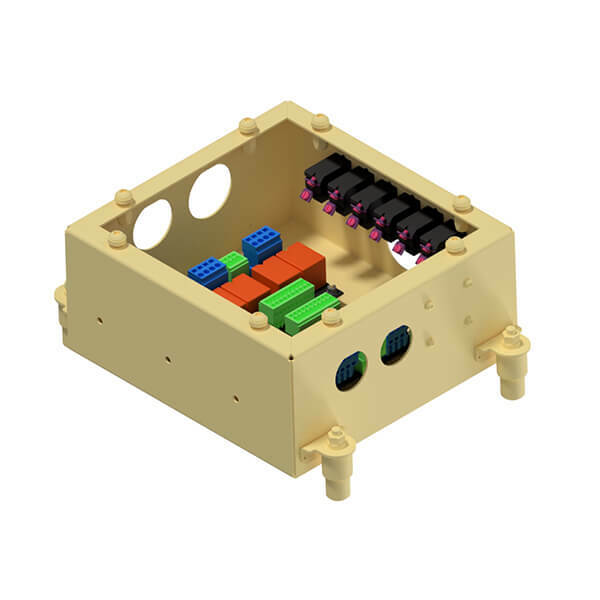 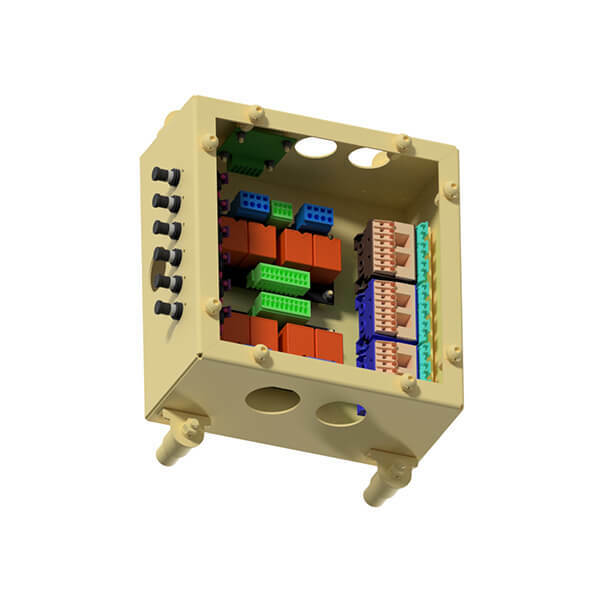 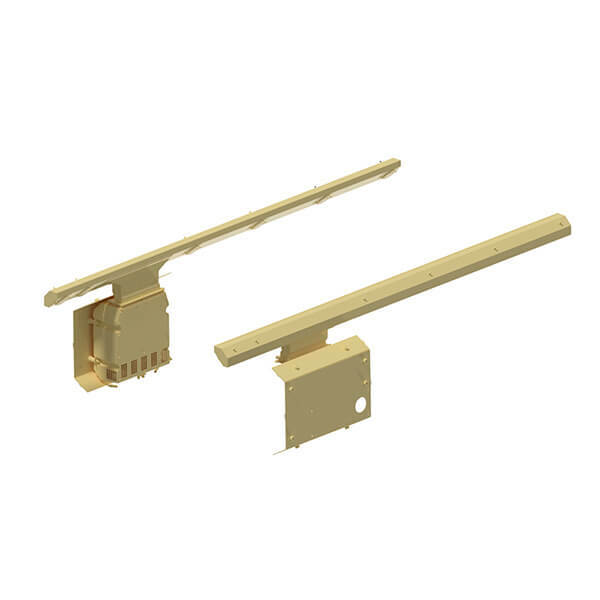 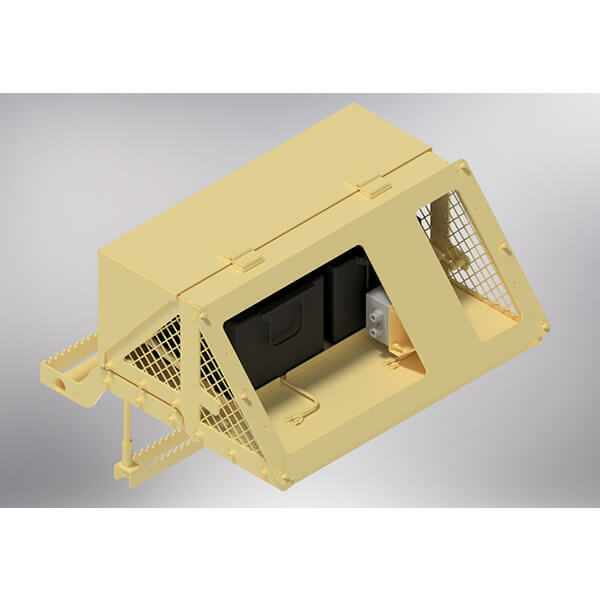 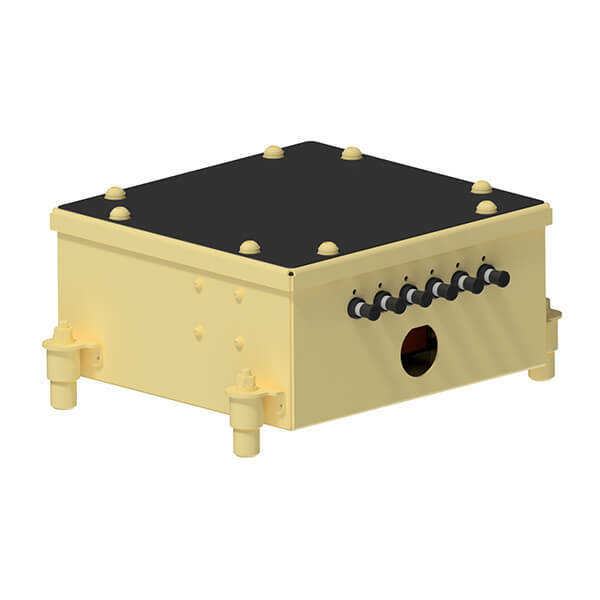 The ducting interface is custom designed to suit the vehicle specific roof/turret, and layout mounting brackets are designed to suit the required interfaces. 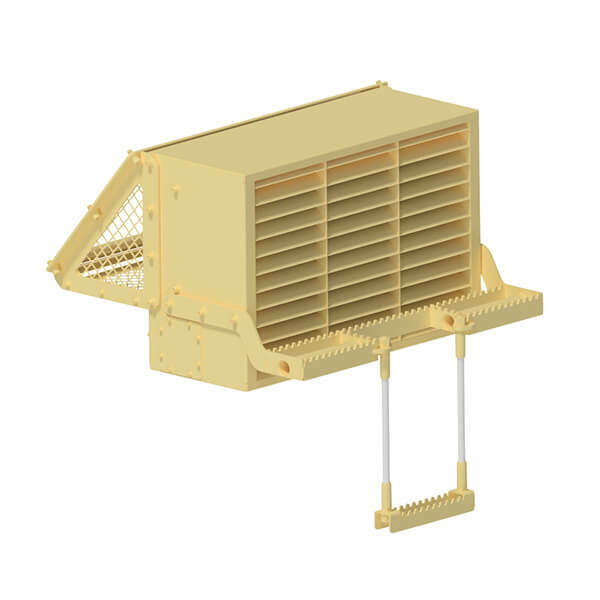 Each evaporator has one dual scroll blower to allow for high pressure losses in constrained air ducts. 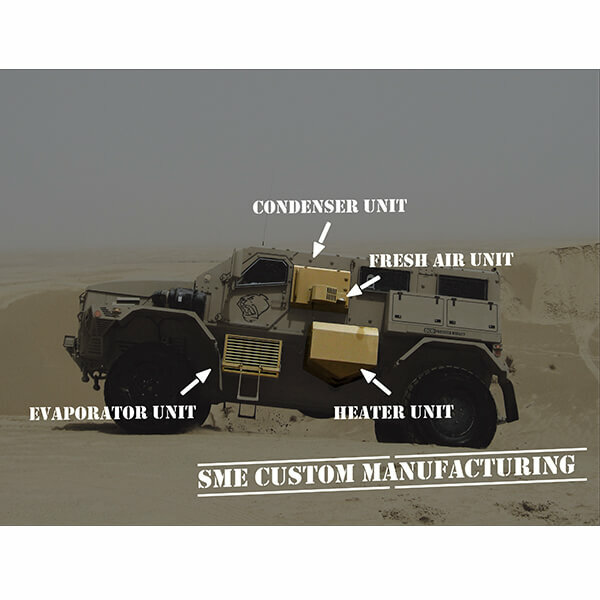 A condenser pack in enclosed condenser unit is mounted on the outside of the vehicle as a separate module containing condenser heat exchanger cores, cooling fans and step for driver. 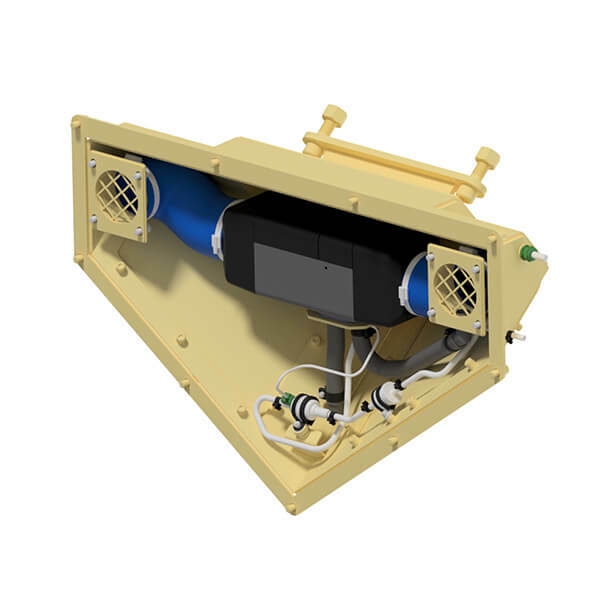 The 200cc displacement (engine driven) compressor is mounted to be directly belt driven from the vehicle engine. 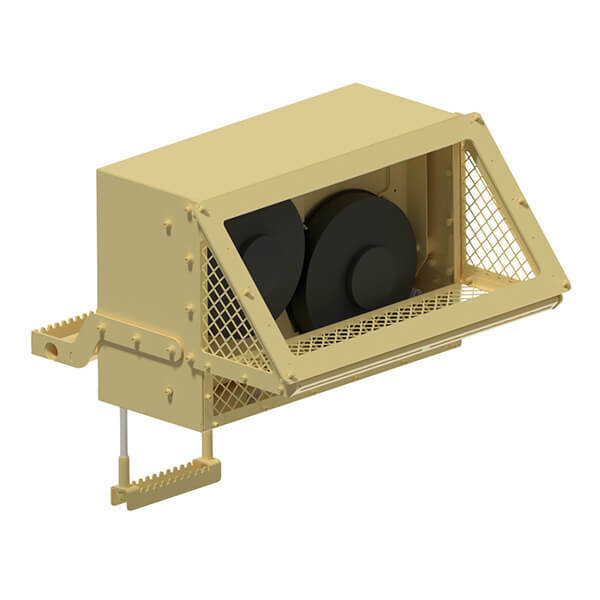 The fresh air unit in enclosed (armour material) is mounted on the outside of the vehicle as a separate module containing fresh air fan, pleated filter and cyclones. 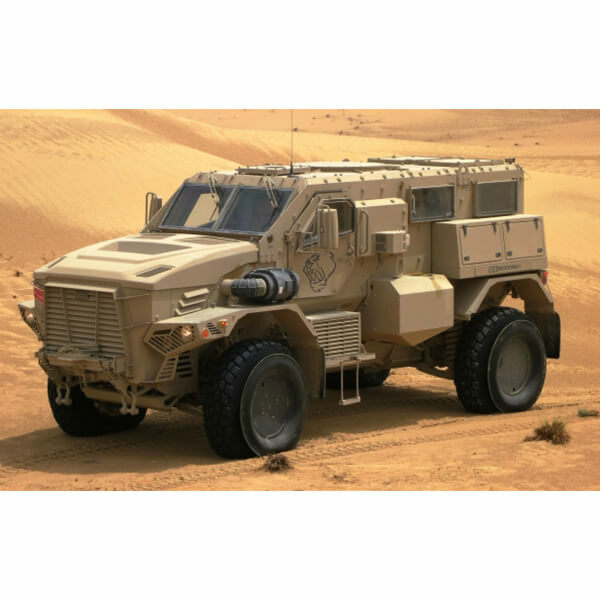 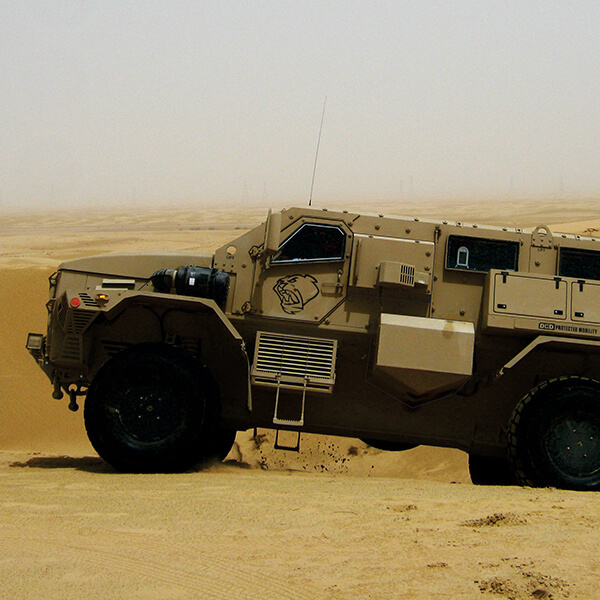 A diesel burner (heater) unit in enclosed (armour material) is mounted on the outside of the vehicle as a separate module. 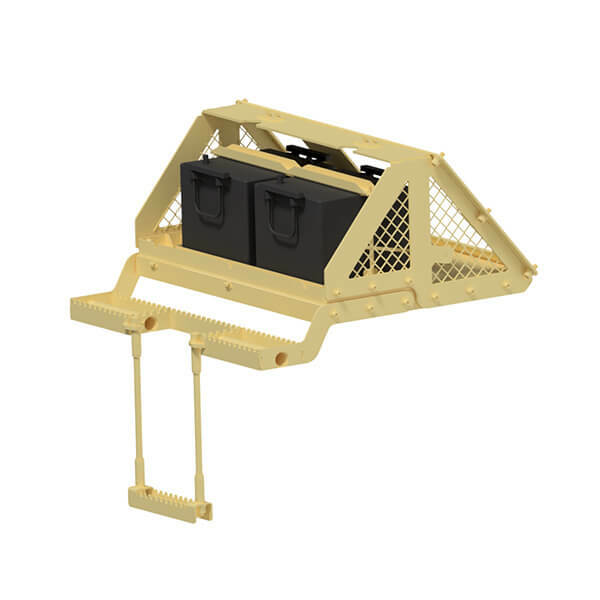 An extra toolbox bin is mounted on the outside of the vehicle as a separate module containing tool mounting slots and step for co-driver.